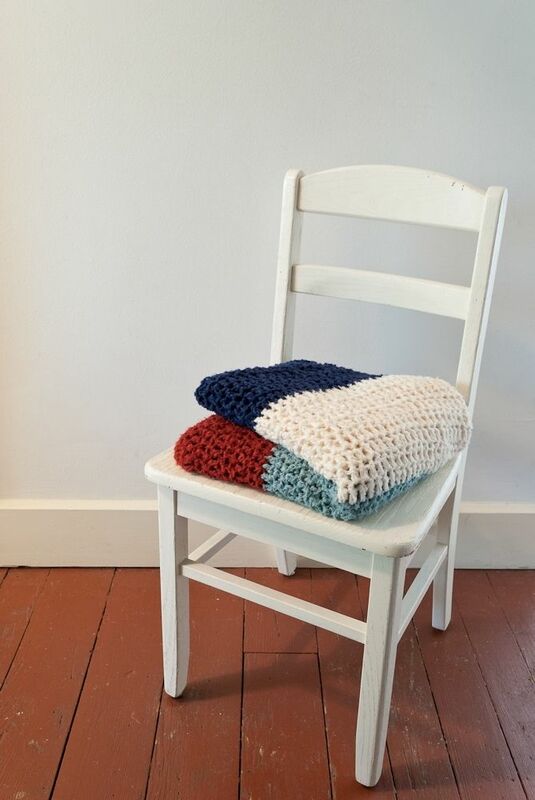 Crochet bamboo blanket in rust, sea blue, cream, and navy. 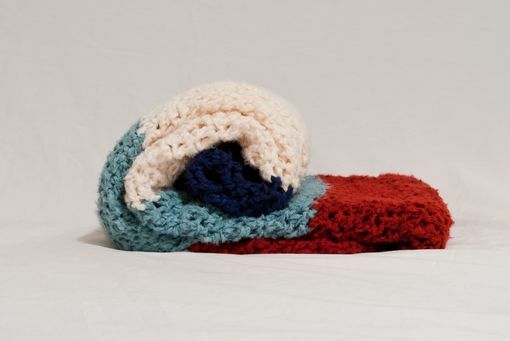 As a renewable resource, this bamboo blanket is the perfect addition to any eco-friendly home. 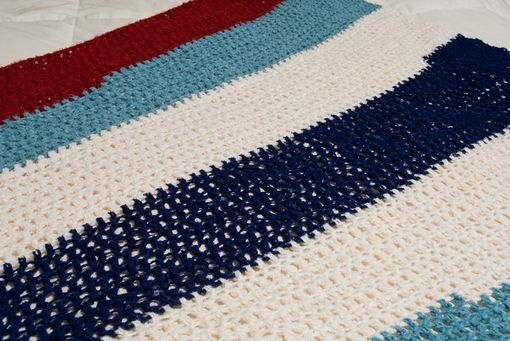 With measurements approximately 52" x 55", this blanket is perfect for cuddling on the couch, or great for young children. Blanket is ready to ship! 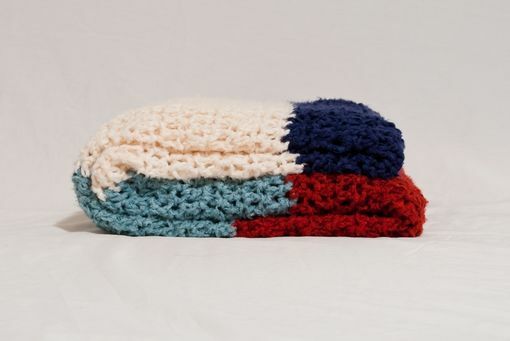 If you like the blanket, but prefer different colors, message me for details! I would be happy to collaborate and work together to customize your blanket. 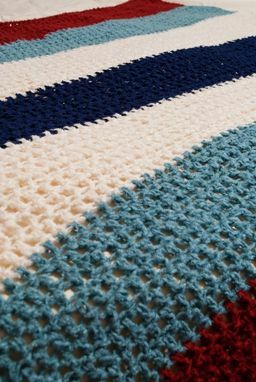 For custom orders, allow 1-2 weeks for me to make your blanket before shipping.